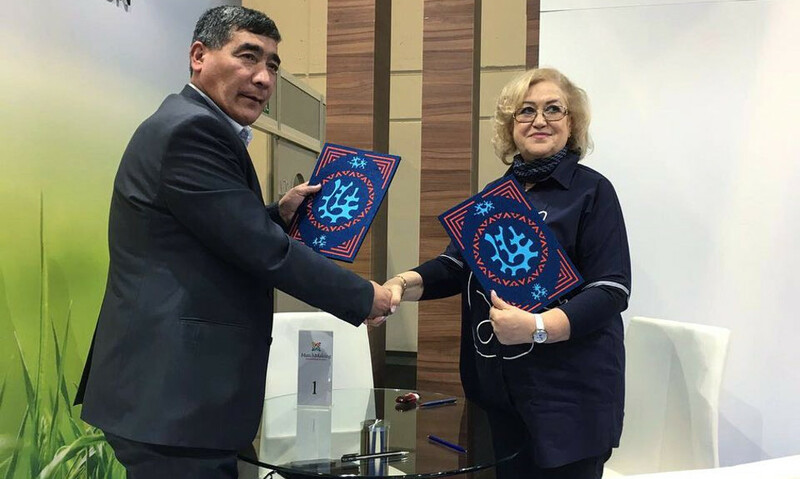 The production firm “Nyda-resource” from Yamal and “Capital-agro Impex” from the town Pap, Uzbekistan expressed mutual interest in implementation of joint projects on transportation and sale of food products. They agreed to take necessary measures in development of cooperation plans. The signed agreement on intent of cooperation became the result of the working visit of the representatives of Yamal to the Republic of Uzbekistan. Thus, the agreement on intent of cooperation states that the sides agreed to start work on the project of creation of the Trading house “Uzbekistan — Yamal” with the representational office in Tyumen, as the department of external relations of Yamal-Nenets Autonomous Okrug informs. To provide each other with all possible support in functioning and extending of the sphere of activity on the territory of the Republic of Uzbekistan, Yamal-Nenets Autonomous Okrug and Tyumen Oblast. As we should note, the working visit of the director of the production firm “Nyda-resource” Zhanna Gusak in Uzbekistan was held on the invitation of the governor (the head) of Pap District Azamjon Sultanov. The beginning of cooperation was laid in January this year at the International exhibition “Green Week” in Berlin, where the export-oriented enterprise “Nyda-resource” signed several agreements on intent of cooperation with companies of agro-industrial complex of Uzbekistan. The visit was organized by the department of external relations of the Autonomous Okrug.